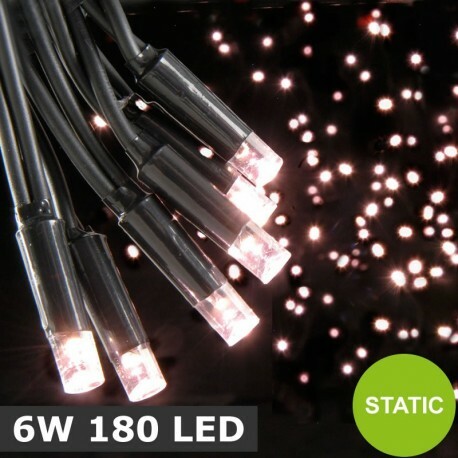 High quality outdoor LED string lights with a black heavy duty cable. You may extend the cable from the mains power supply by using our 5m rubber extension cable. Each set is connectable and can be extended up to 6 sets from just one plug. The high quality LEDs have a long lifespan and are energy efficient making them ideal for decorating homes, shops etc. 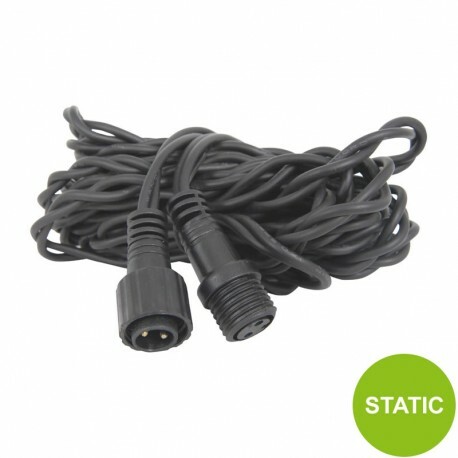 5 Meter Rubber Extension Cable For Fluxia Static Heavy Duty String Lights.